Humbert, Jeanne. Sous La Cagoule: À Fresnes, Prison-Modèle. Paris: Lutèce, . 8vo, 212 pp. ; b/w reproductions of sketches by André Douhin and five b/w pls. 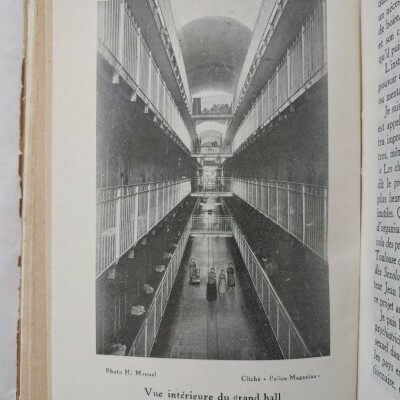 reproducing prison photographs by H. Manuel; some pages toned with edge-wear and minor chipping, pictorial wrappers with top corner missing, fair. Anarchist and pacifist Jeanne Humbert (1890-1986) was a leading activist for legal contraception in France in the 1920s. She was jailed many times for the dissemination of materials related to birth control, abortion, and antiracism. Although her Neomalthusian beliefs have made her a controversial figure, she spent her entire life fighting for sexual liberation, women’s rights, and peace. 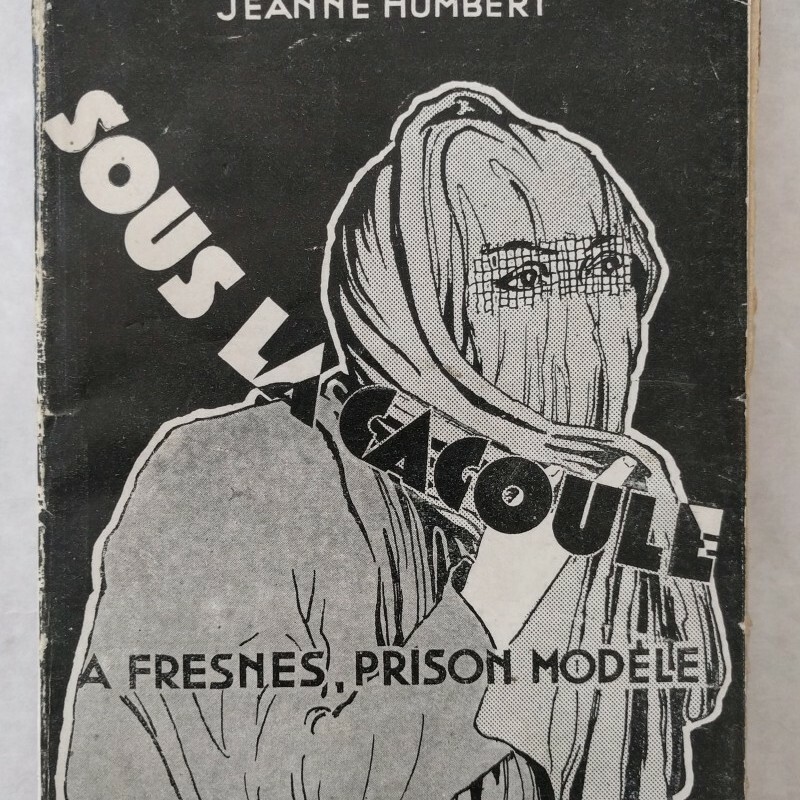 Sous la cagoule is the second book she wrote describing her experience in prison and arguing for reform. The first concerned Saint-Lazare, where she was held for two years. Sous critiques the modern French penal system and the horrific conditions at Paris’s model prison, Fresnes, where she was later transferred. OCLC finds no institutional holdings in North America.